Our Sign Shop in Henderson, TX has been a local leader in creating and installing custom signs, banners, decals, vinyl lettering and more for over 40 years. Our company prides itself on quality service in all aspects of graphic design and hand lettering, including the installation of our fine custom signs in East Texas. In business since 1972, McMurray Signs & Graphics has the experience and expertise to offer you unparalleled service through graphic design and signs in East Texas. If you have an idea for custom signs for your business or organization, let us help you bring them to life! Aside from designing and creating signs and banners, we also specialize in custom decals, hand lettering and vehicle graphics and lettering in East Texas. 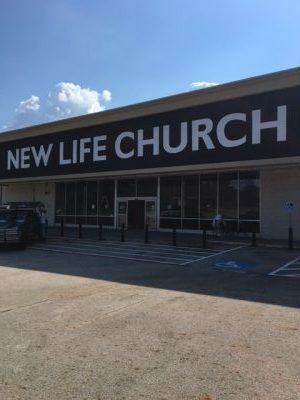 Our work has been featured on ABC’s TV show “Extreme Makeover,” where we were showcased installing vinyl lettering in Henderson, TX, while also creating stunning imagery through our graphic design talents. Our vehicle graphics and vinyl lettering in East Texas make your vehicle stand out from the rest! McMurray Signs & Graphics has over 40 years of proven expertise in our field. Local ties keep us close to our community and help us relate to each and every one of our customers. Even if you’re not sure what you want, one of our professional graphic designers will work with you to create something you’ll be proud to display. We are licensed and bonded in Henderson, TX, ensuring quality work without hassle. "McMurray Signs is amazing!!!! Steve pays close attention to detail, makes suggestions, and makes sure everything is perfect! I will continue..."
"Steve McMurray did a very high quality job replacing the lettering with our company name on our glass entry way. He was very timely in comp..."
"Fantastic job providing updated signs for the ballpark, excellent customer service, quick turn around, very helpful in design and layout ide..."
"Nice friendly staff, great products, highly recommended!" "All of their signs are pleasing to the eyes. They have the most thought out, well-executed signs in East Texas!" To start get started on creating that one-of-a-kind sign or graphic, call one of our designers at 903-657-1127 today!